6 3/8" square - frame size 12"
This class offers an opportunity to learn a method of stylized shading for blackwork using layered patterns with canvas accents. The two sides of the autumn leaf are stitched in variations of the same blackwork pattern and the entire leaf is outlined with Stem. 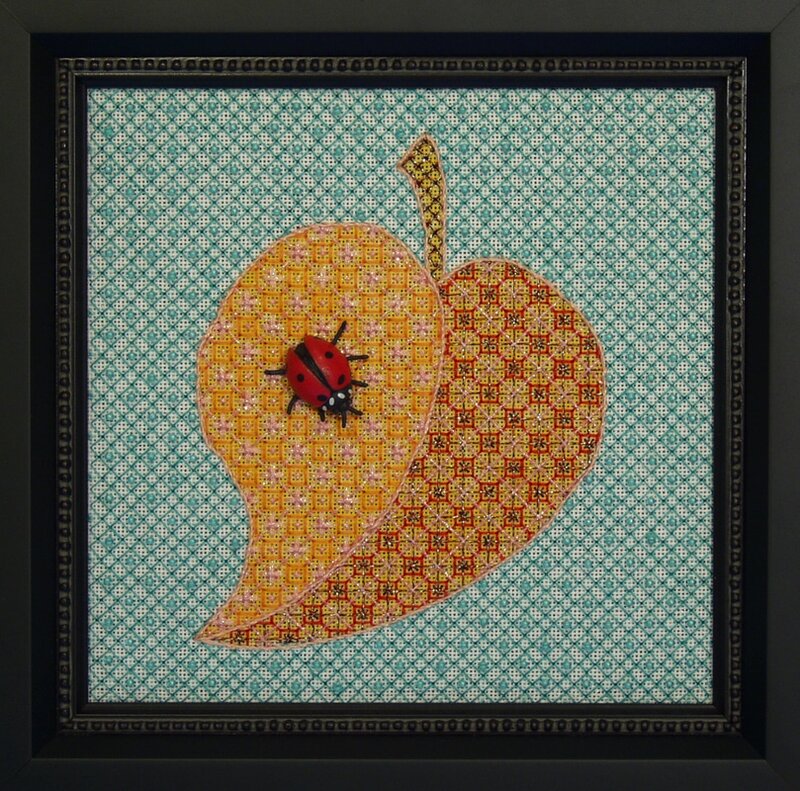 A beaded blackwork pattern surrounds the leaf and a sassy lady bug adds the finishing touch!